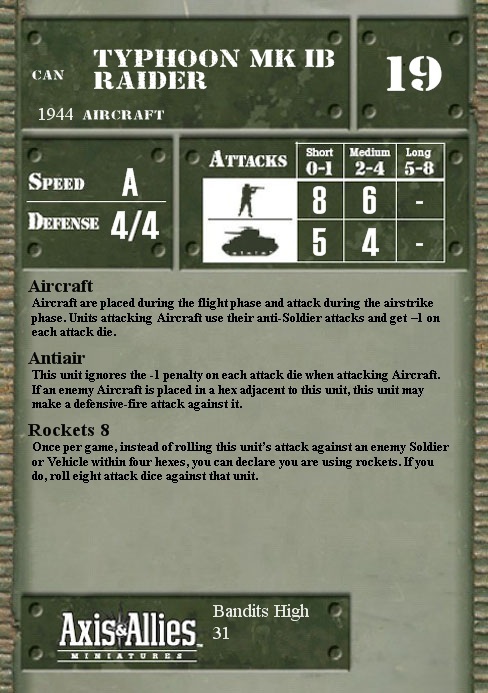 Once per game, instead of rolling this unit’s attack against an enemy Soldier or Vehicle within four hexes, you can declare you are using rockets. If you do, roll eight attack dice against that unit. Q: An enemy unit gets within one space of my Soviet Katyusha. Normally the Katusha has no attack ability at short range (range 1). But what happens if I declare a Rocket Salvo and target a hex just beyond the enemy unit at range 2? Can I hit the target at range one with the splash effect of the Rocket Salvo? Do I have to have a target at range 2? Can I target an empty hex behind the unit I want to hit? A: If the Katyusha has a target at range 2, the splash effect of the Rocket Salvo could hit a target at range 1. But the target at close range can't be the primary target. And yes, you must have a target. An empty hex can't be the primary target. Q: Can I target a friendly unit so I can get the splash effect on adjacent enemy units? A: No, friendly units can't be targeted. Only enemy units can be targeted.